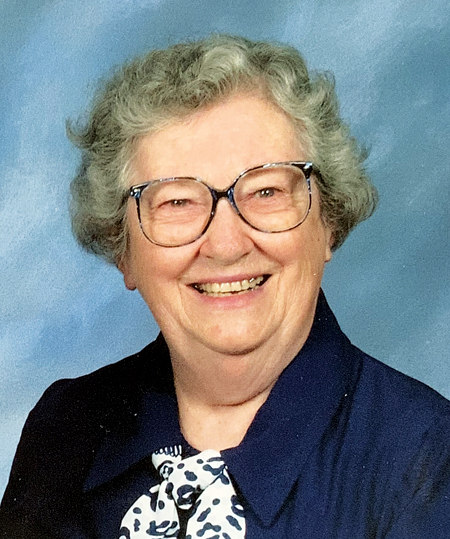 Bertha Brittingham Garrett, 92, of Fort Wayne, passed away on Thursday, March 14, 2019 at her home. She was born March 24, 1926 in Gibson County, Indiana to the late Robert and Anna (Hunt) Brittingham. She was a graduate of Mt. Olympus High School in 1943 and Ball State University in 1947, receiving her master’s degree in 1967. 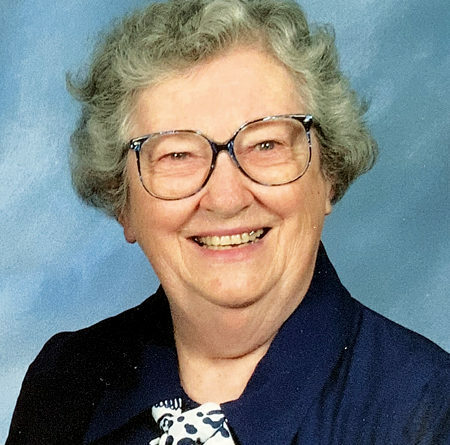 Throughout Bertha’s career, she worked as a teacher in Wells, Huntington, and Wabash Counties. Additionally she taught at IVY Tech and IPFW, before retiring in 1995. She is survived by three children, Paul B. 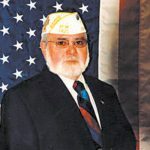 (Carroll Brunzell) Garrett of Inter Grove Heights, MN, David B. (Junko Ueno) Garrett of Los Angeles, CA, and Karen Ann (Peter Garfinkel) Garrett of Gainsville, FL; daughter in law, Elaine (David) Clayton of South Bend, IN; grandchildren, Nate, Natalie, Joey, Matt, and Olivia; great grandchildren, Eli and Amelia; and close friend, Ron Hamm. Married in 1947, Bertha was preceded in death by her husband, C. Raymond Garrett in 2009; and her son, Joseph B. Garrett. A funeral service was held Saturday, March 23, 2019 at 2:00 PM at Elzey-Patterson-Rodak Home For Funerals, 6810 Old Trail Road, Fort Wayne, Indiana 46809, with visitation beginning at 12:00 PM. Burial was in Twin Hills Cemetery, Pennville, Indiana. 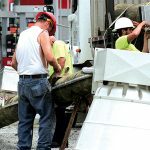 Preferred memorials may be made to Grace United Methodist Church, Waynedale United Methodist Church, Mt. Pleasant Cemetery Fund, or the Gilead Church. 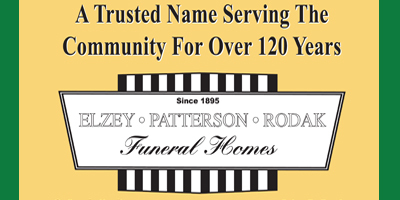 Fond memories and expressions of sympathy may be shared at www.elzey-patterson-rodakfuneralhome.com for the Garrett family.